Alicia is a great representation of First Choice Loan Services and is a wonderful example of the true heart of who we are as a company. New Jersey-based residential mortgage lender First Choice Loan Services Inc., a Berkshire Bank Company proudly announces Alicia de Armas has been promoted to senior vice president of branch operations and development. 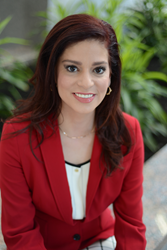 In her new position, de Armas will coordinate the on-boarding processes for new loan production offices (LPOs) to ensure efficient workflow and on-going support and provide on-going daily support to all LPO offices across all aspects of their business. Additionally, she will establish all 3rd party credentials companywide and specialized reporting to LPO offices in an effort to streamline flow of information, prioritization and efficiency. Senior Executive Vice President and Chief Operating Officer Norman T. Koenigsberg is excited to expand de Armas’ role on the First Choice Loan Services’ leadership team. Having joined First Choice Loan Services in 2011, de Armas previously worked as vice president of client relations for NYLX Inc. and vice president of operations at 1st Republic Mortgage Bankers. Prior to those positions, de Armas filled leadership roles at American Home Mortgage, Global Home Loans and Finance, WMC Mortgage, New Century Mortgage and American Business Financial Services. First Choice Loan Services Inc., a Berkshire Bank Company is headquartered in East Brunswick, New Jersey. Founded in 2009, the company is licensed to originate and close residential mortgage loans nationwide, excluding Arkansas and New York. With 17 locations across 7 states and close to 500 employees, First Choice Loan Services Inc. offers FHA and VA programs, Jumbo loans, fixed and adjustable rate loans, and refinancing and renovation programs. First Choice Loan Services Inc. is an Equal Housing Lender, NMLS #210764. Licensed by the New Jersey Department of Banking and Insurance. AZ BK# 0918586. To learn more about First Choice, visit https://fcloans.com/.